In this article we’ll review new developer WinRT features that’ll be released in the upcoming Windows 8 release (dubbed “Windows 8.1” / “Windows Blue”). Microsoft recently announced that during June 2013’s BUILD conference a developer preview of Windows 8.1 will be released for download. In the meanwhile many Windows 8.1 “leaked” images are available online. These “leaked” images allows us to get a sneak preview of the featuresets that’ll be announced in BUILD conference. For the length of this article we’ll go over those features. Methodology: How was this research done? 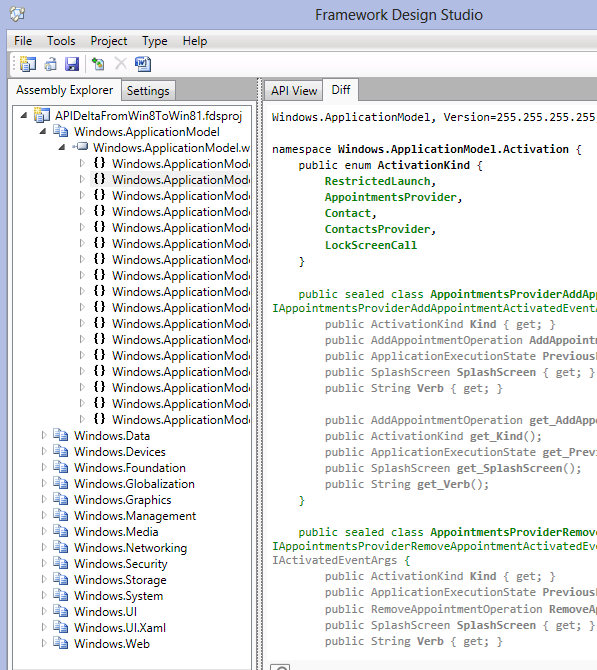 Windows 8.1 images contain WinMD files describing their embedded Windows 8.1 developers APIs. It’s possible to get to Win8.1’s WinMD files and then compare them to the existing Windows 8 RTM WinMD files. This entire article is based upon using Reflection to see those API differences. Download the latest Windows 8.1 “leaked” image. This article was based on an image named “9385.0.FBL_PARTNER_OUT17.130415-2049_X86FRE_CLIENT_EN-US-PL-PL-RU-RU.ISO”. Create a bootable USB drive from the ISO file and Install it on a nearby machine. Using Microsoft’s Framework Design Studio it’s then possible to compare the WinMD files from a WIndows 8.1 “leaked” image and Windows 8 RTM. For your easy reference you can download the aforementioned WinMD folder from here: Windows 8 RTM WinMDs, Windows 8.1 9385 WinMDs. How to code Win8.1 C# apps before public beta? How to develop Win8.1 WinJS apps before public beta? Windows 8 had no support for developers to interact with external bluetooth-enabled devices. PeerFinder was there but it wasn’t bluetooth capable. It’s a pleasant surprise to see Windows 8.1 support both RfComm bluetooth protocol and GATT bluetooth profile which are the core of Bluetooth 4.0 support. With Bluetooth 4.0 support in Windows 8.1 we’ll see a many external bluetooth-enabled devices connect to WinRT. The aforementioned GattCharacteristicUuids class mentions a lot of those supported devices. It was previously revealed that Windows 8.1 will support Kiosk mode. Windows 8.1 has new APIs for Magnetic card readers and barcode scanners. So it’s pretty clear to say Microsoft is aiming for a new class of WinRT cash register apps (“Point of Sale”). 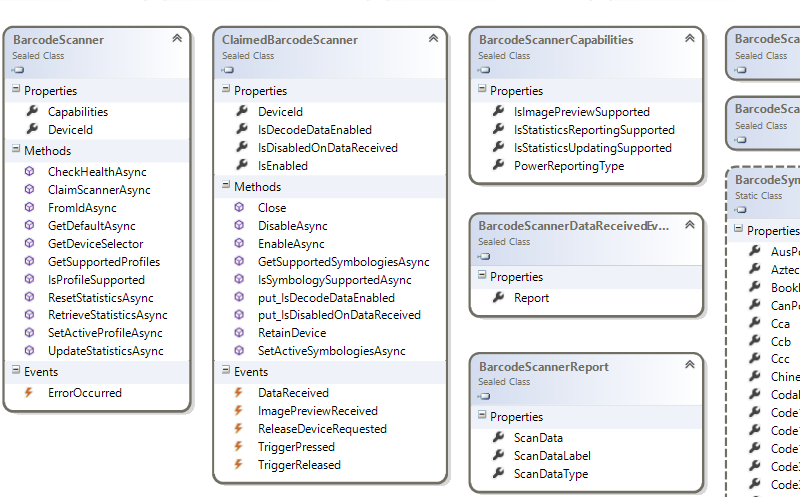 In the following class diagram we can see the new Win8.1 barcode scanner support. It all comes down to the ClaimedBarcodeScanner.DataRecieved event which will provide a byte array with the barcode data. There’s also a BarcodeSymbologies class partially shown above that claims the API supports the following barcode systems: AusPostal, Aztec, Bookland, CanPostal, Cca, Ccb, Ccc, Chinese2of5, Codabar, Code11, Code128, Code128Parsed, Code32, Code39, Code93, CompositeAB, CompositeC, Coupon, CueCode, DataMatrix, Doccap, DutchPostal, Ean128, Ean13S, Ean8S, EanJan13, EanJan8, ExtendedBase, GS1DataBar, GS1DataBarExpanded, GS1DataBarExpandedStacked, GS1DataBarStackedOmnidirectional, Iata2of5, Image, Isbt128, Itf, JapPostal, Korean3of5, Macromicropdf, Macropdf, Matrix2of5, Maxicode, Micropdf, MicroPdf417, MicroQRCode, Msi, Ocra, Ocrb, Pdf417, QRCode, Rss14, Rssexp, Rsslim, Signature, TF, Tlc39, Trioptic39, UkPostal, Unknown, Upca, Upcas, Upcd1, Upcd2, Upcd3, Upcd4, Upcd5, Upce, Upce0, Upce1, Upces, Us4state, US4statefics, UsPlanet, UsPostNet and Webcode. There’s also a new API for magnetic card readers which we can see below. There’s lots of goodies in this API. 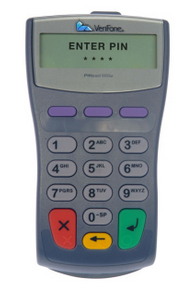 Starting from generic Magnetic card reader support with direct access to reading Track1-4 data. There’s also Encryption support for Triple DES blocks. And there’s even built-in support to bank cards and AAMVA vehicle driver data. Overall it seems like a great magnetic card reader API that’ll support everything from store cards, bank cards, AAMVA cards and any custom 3rd party magnetic cards. One of the interesting new security minded features in the Win8.1 APIs is the support for Smart Cards and pin challenges. For those who are unaware “Smart cards” is a generic name for cards with integrated circuits that help uniquely identify cards. 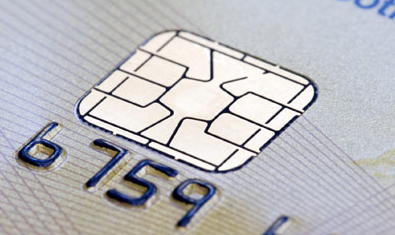 Some well known smart cards include credit cards, debit cards, employee cards, public transit payment cards and more. The new Smart Card API in Windows 8.1 allows us to iterate over plugged-in smart cards, challenge the user for pin card authorization, reset challenge pins and even to create or destroy cards. As anyone with a bank card knows challenging users for pin codes is quite useful in real-world scenarios. 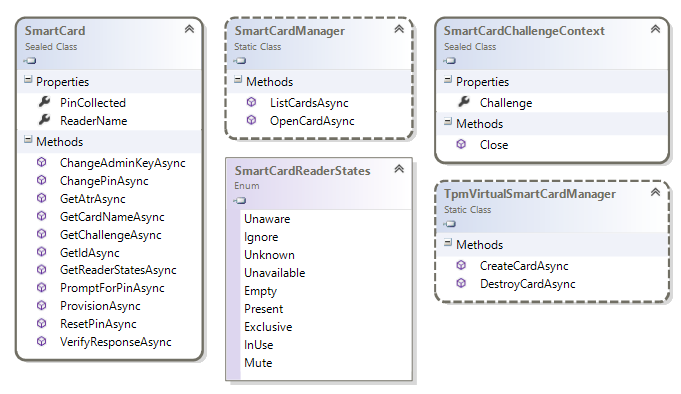 It’s really interesting to see that the Win81 APIs allow for both day-to-day usage of smart cards and managing smart cards. It’s been previously reveled that Windows 8.1 apps can now set the lockscreen background image. 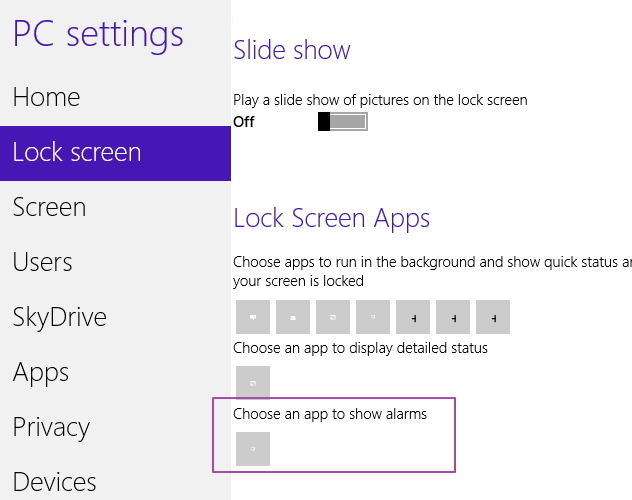 Windows 8.1 apps can set the lock screen image to a remote feed. While the format of the remote feed is currently unknown (RSS? Media RSS?) it’s likely to be fairly simple to implement. The beautiful part about setting the lock screen to a remote feed is that changing the picture doesn’t require running the app or any custom code on the client side. A very common complaint for Windows 8 Metro apps is that they sometimes stop working under most VPN connections. 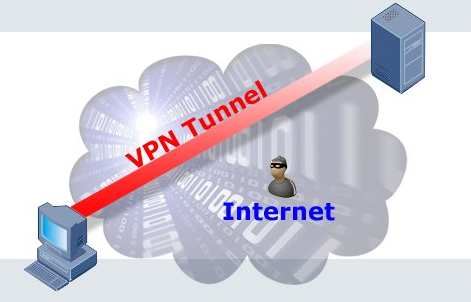 VPNs are critical for many people including Iranian employees and remote dissidents (or is it “Iranian dissidents and remote employees”?). Despite the plethora of new VPN APIs, an open question remains as to whether WinRT Win8.1 apps will work by default on VPNs. Windows 8 introduced a new type of Metro apps that are associated with printers. 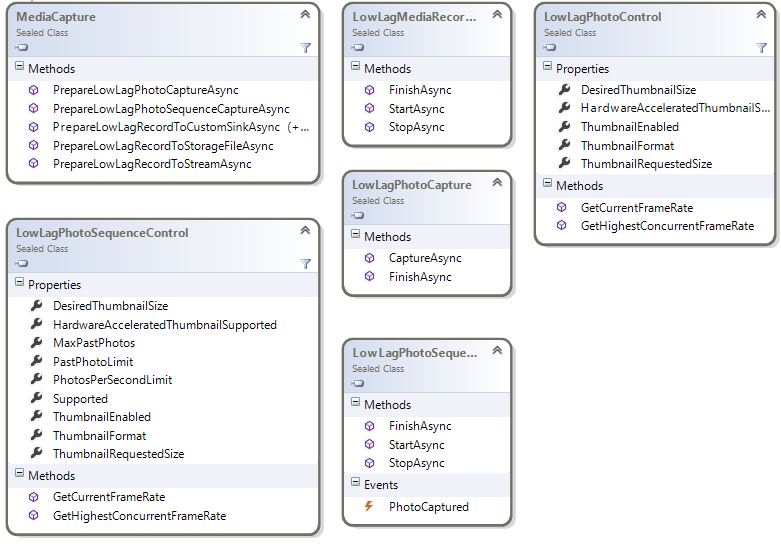 Those apps can be used to define a custom printing configuration within the Windows 8 “devices” charm. However, scanners were conspicuously unsupported and didn’t have that level of support. Scanners weren’t usable in Metro apps and the scanner manufacturers couldn’t hook into the Win8 “devices” charm. Well, that’s going to change in Win8.1. 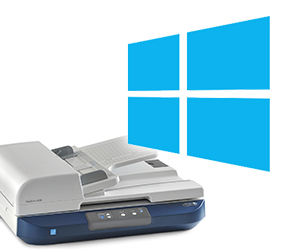 Using the new Windows.Devices.Scanners namespace apps can automate scanning and customizing documents from flatbed & feeder scanners. Developers can see current scanner configuration, set a few properties (auto cropping, color mode, contrast, resolution, etc) and get image files after scanning. An open question is whether or not Scanner OEM apps written by device manufacturers will be supported in Windows 8.1. Looking at the impressive API above, I’d be surprised if they won’t be supported. One of the big limitations of Win8 WinRT apps is their lack of ability to interact with connected and built-in devices unless previously exposed by WinRT. It seems that’s about to change in Windows 8.1 with the introduction of the new Windows.Devices.Usb and Windows.Devices.Custom namespaces. Both of these namespace provide IOutputStream and IInputStream to any USB or IO device. It’s fair to assume it’ll be heavily gated by permissions, but it’s still a great feature that opens up new avenues for Win8.1 apps. 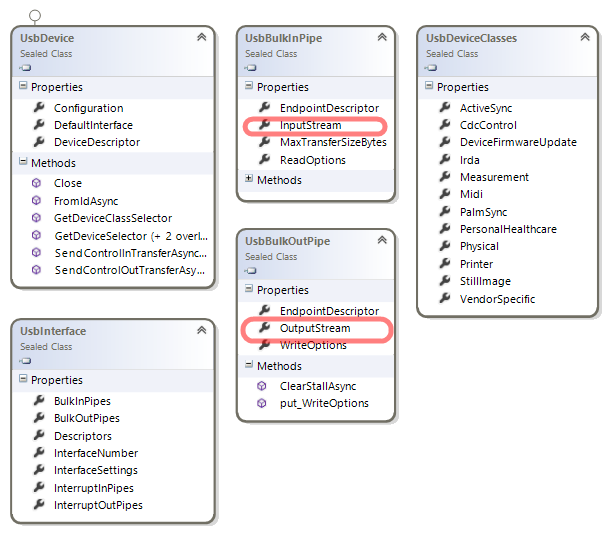 Below we can see the new Windows.Devices.Custom namespace with the Input & Output streams highlighted. The code to use this API would be fairly straightforward. 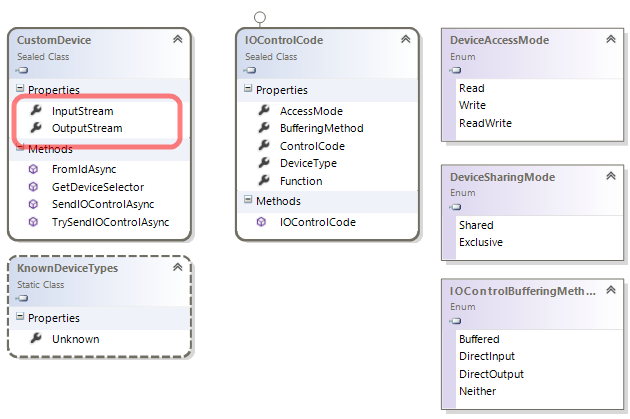 First we’d get a DeviceID or Device selector string from existing Win8 APIs, next we’d get a CustomDevice instance and finally we’ll send over IOControlCodes the device will recognize. Another new API that is more USB specific was introduced is the Windows.Devices.Usb namespace. Below you can see the types of USB devices supported, and where the Output and Input streams can be found. The new USB namespace is quite verbose so I’ve highlighted only what I felt is the most self explanatory API. The new Win8.1 PDF API starts by loading a PDF file using PdfDocument.LoadFromFileAsync(), getting the total number of pages and then invoking PdfDocument.GetPage(i).RenderToStreamAsync(). Once we have the image stream it should be quite simple to add it into any app UI. Imagine watching a video on your Win8 atom-based tablet and plugging it into your TV. The tablet could duplicate the content on the TV, but it can’t choose to show one view for the TV and another view for the tablet screen. That for example is the experience for the Netflix iPad app. In windows 8 Metro apps were spectacularly single screened and only had one single active view. 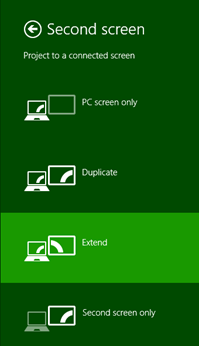 It seems that in Windows 8.1 developers can opt-in to create additional alternate views for projection displays. Windows 8.1 Introduces a ProjectionManager class that allows developers to listen to projection display changes and provide multiple displays with their own unique views. It’s possible we’ll see Win8.1 WinRT tablets sporting screens with much higher DPI then Apple’s retina even going all the way up to “4k” resolution. Win8 supports loading different media resources in different DPIs. Essentially making it quite easy to change images and videos and create a DPI-Independent apps. This is done by specifying the same resource in multiple “scaling factors”. 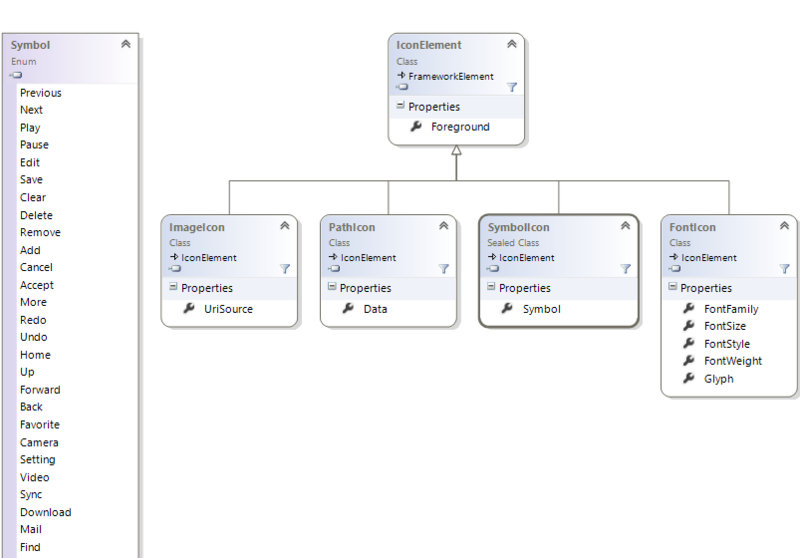 You can read more about scaling factors on Win8’s official blog. It’s interesting that additional scaling factors have been added to Win8.1 showing Microsoft has an expectation for higher-resolution tablets. The existing 180% scaling supports 240DPI in WQHD resolution, so it’s reasonable to assume that 225% scaling would support 300DPI and even higher values. It’s possible we’ll see Win8.1 WinRT tablets sporting screens with much higher DPI then Apple’s retina even going all the way up to “4k” resolution. There are new Win8.1 APIs introduced to support “Low Lag Cameras” which could indicate Microsoft is expecting HDR capable cameras in WinRT Tablets. As we can see this API will allow developers to take multiple low lag images in sequence which is a prerequisite to HDR custom stitching algorithms. “Low Lag” cameras could mean a few things. Let’s first try to explain what Camera Lag is. 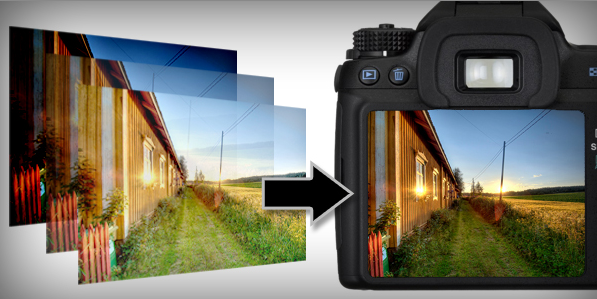 In digital cameras users first see a thumbnail preview of the image being taken, they then click the “take picture” button and finally they see the final picture. The final picture is often different from the thumbnail preview as cameras need a few hundred milliseconds to actually take pictures. That time between clicking the “take picture” button and the time the picture is actually taken is called “camera lag”. 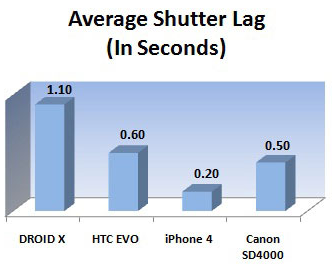 Most cellphones and tablets have greater lag then other digital cameras as they don’t have a physical camera shutter. PC Magazine has a expanded explanation on this topic and more statistics. So what’s a “Low Lag" Camera good for? First it’ll let users take better pictures due to the reduced lag. Second, it can be used for HDR. HDR is essentially taking multiple nearly identical pictures in different exposure values and stitching them together. For example, a picture with high exposure will provide better visuals for shadows; and a picture with low exposure will have bright objects such as the sun and lamps look better. By stitching the best part of each exposure value we get a much better digital picture. Low lag cameras are essential for HDR as we can’t have too much time between capturing photos or stitching them won’t be feasible. You can read more about HDR here. 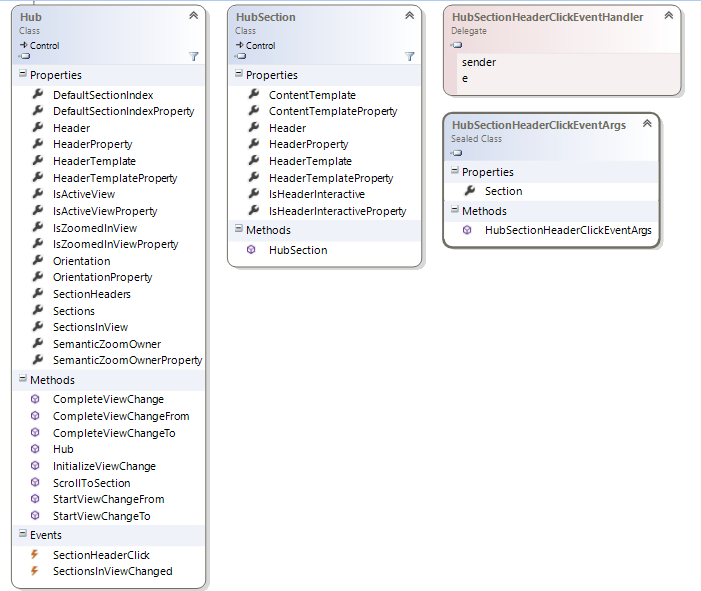 The way Metro apps are launched is often strongly associated with major featuresets in WinRT. 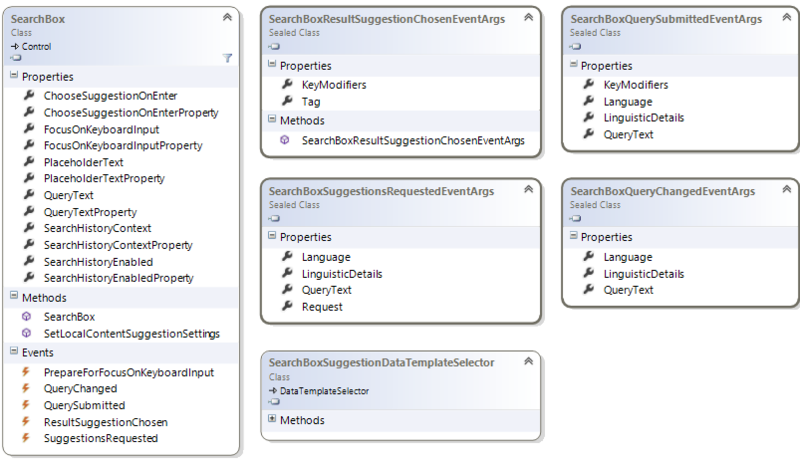 Such Win8 featuresets include Search charm integration, Share charm integration, FileOpenPicker/FileOpenPicker integration, app2app file associations, etc. 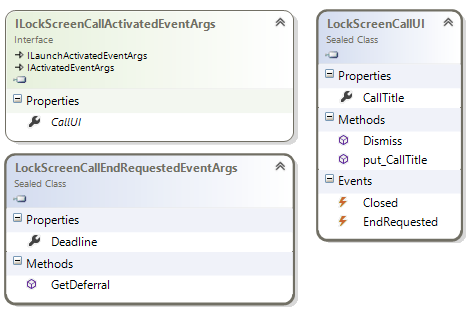 In Win8.1 the list of activation types in WinRT has been expanded to include lock screen calls, appointments provider, contacts provider and geolocation launching. With WIn8.1 apps can now register to be launched once the user leaves or enters a specific Geolocation area. There are many usecases this can be useful in, for example : keeping tabs that small children don’t stray too far, launching an app once entering a restaurant, etc. The API itself is pretty straightforward. Win8.1 apps that want to be launched due to exiting or entering a GeoFence area first need to register a LocaitonTrigger the same way they’d register any other IBackgroundTrigger. Next apps need to register additional instances of the GeoFence class with a center point and a radius around that point. There are a few puzzling open questions about this featureset. 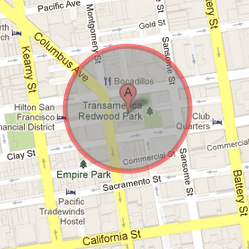 Can it be used to Geofence media content? For example, can Netflix use this to limit distribution of just some films to U.S. Markets? Another interesting open question is why limit GeoFencing to circular areas and not rectangular areas? This API seems like it’s got some evolution to do prior to be released to the general public. Win8.1 will include the capability to launch VoIP apps to start/end phone calls while the OS is locked. Essentially if a user gets a skype audio call under lock screen, you we want them to first unlock their tablet and then answer; we want them to just answer audio calls with a single tap. Which is why the new LockScreenCallActivatedEventArgs makes a lot of sense. 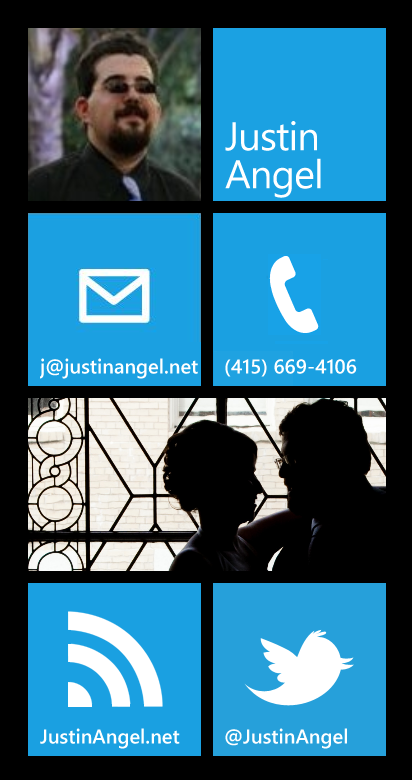 Win8.1 apps also be able to set a call title on the lock screen to show up with the default lock screen UI. Using the new AppointmentsProvider apps can add and manage additional meetings to the shared Win8.1 calendar. 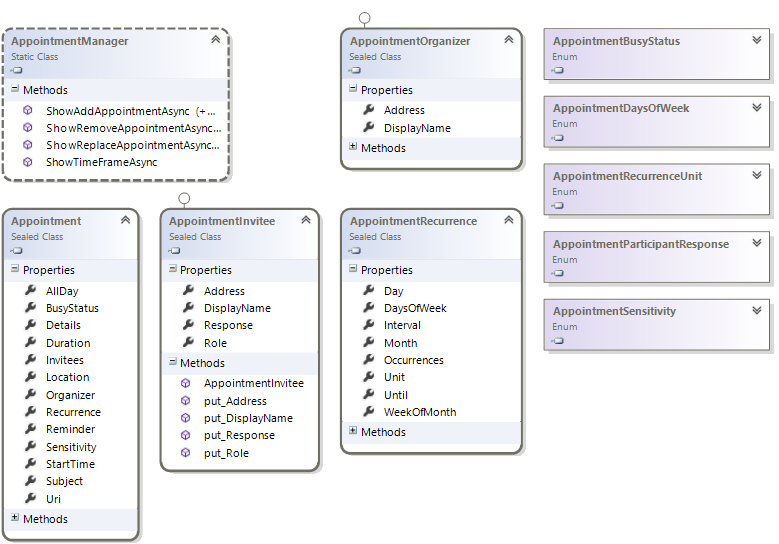 Using this functionality developers can integrate 3rd party calendars into the main Win8.1 calendar. The AppointmentsProvider functionality launches the app asking for appointments in a specific time-frame. Appointments may also be sent back to our app to be added, removed, replaced or launched. With the new AppointmentProvider the ability to show the built-in calendar and individually ask the user to add, replace or launch appointments from it. Windows 8 apps that integrated text-to-speech capabilities needed to use a web-based TTS service. That had the disadvantage of requiring a network connection and had some lag associated with it. Win8.1 adds text-to-speech support to WinRT apps using Microsoft’s Speech platform. The API itself is straightforward as you can se below. 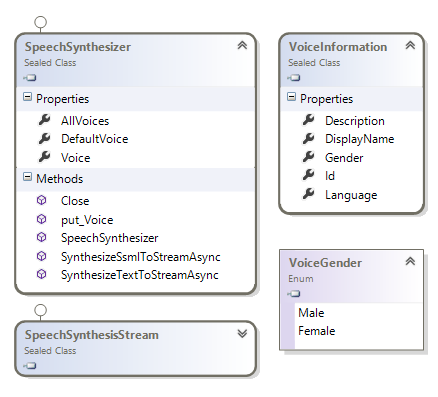 As we can see above Win8.1’s text-to-speech API supports iterating over installed voicces, choosing a voice to speak, using either plain text or SSML and getting back a SpeechSynthesisStream. For example the following code snippet would say “Hello world”. The KnownFolders class provides WinRT apps access to many windows folders such as music, pictures, documents and others. In Win8.1 The list of accessible folders expanded to contain the playlists folders, saved pictures and camera roll. That indicates that Metro Win8.1 apps can read and write from those folders. For example, the following code snippet successfully adds a new playlist to the Xbox Music app on Win8.1. 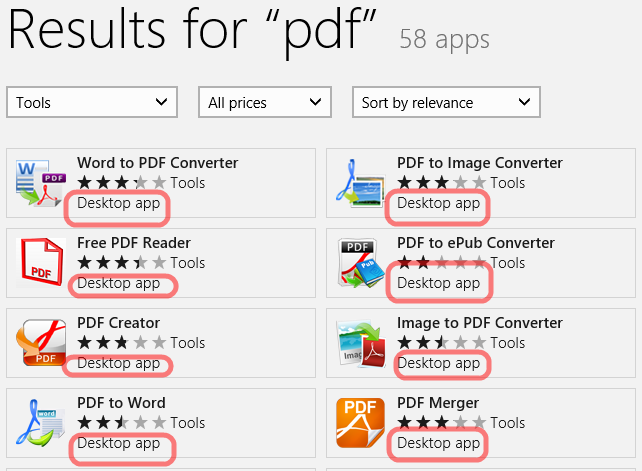 Win8 apps were encouraged to use the Search Charm for any in-app searching. However, many consumers don’t have any idea the search charm even exists. Microsoft seem to have recognized that trend and provided developers with an inline SearchBox control. It’s curious that SearchBox API doesn’t offer a way of entering a list of terms to search. 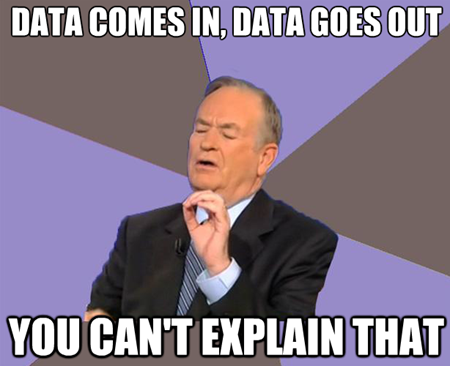 Which either means it’s either just a plain-old-box-of-searching or it automatically hooks up to the Search Contract. Either way in-app searching without using the Search Charm will be a big UX boost for most users. And when we run this we can see how using the Hub and HubSection controls makes building Semantic Zoom enabled UIs much easier. Win8 didn’t have any built-in XAML controls for DateTime selection, but did have those for WinJS. 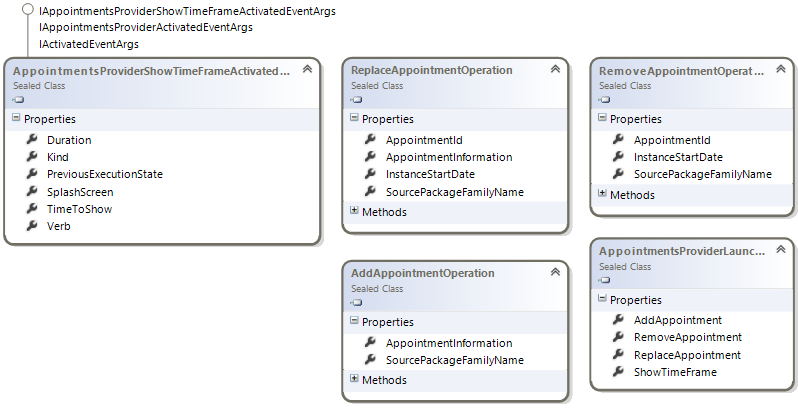 Those have been back ported to WinRT XAML API. Using these controls will likely render the same UI that’s already available in WinJS for TimePicker and DatePicker controls. 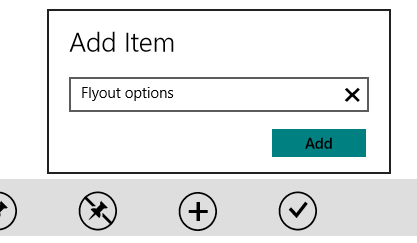 In Win8 XAML apps, it required a lot of coding to add a custom settings screen or a “hover” flyout. WinJS apps had some of that capability out of the box in Win8, but XAML apps didn’t. In Win8.1 we’ll see new XAML controls to help bridge that gap and make building hover flyouts and settings flyouts easier. 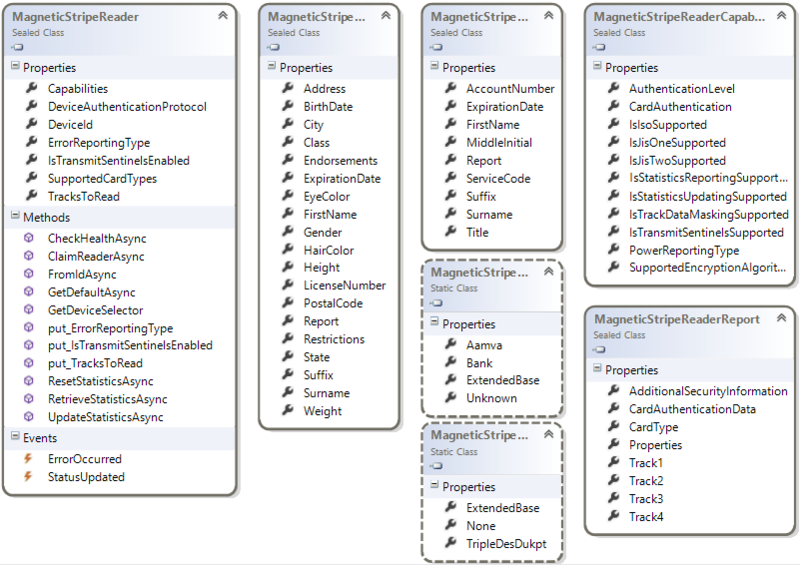 When coding AppBar buttons in Win8 developers had to dig through approximately 100 custom styles for <Button /> to style the appbar correctly. That was a pain. WinJS on the other hand had AppBarButton with Icons that made it relatively easy to code for. 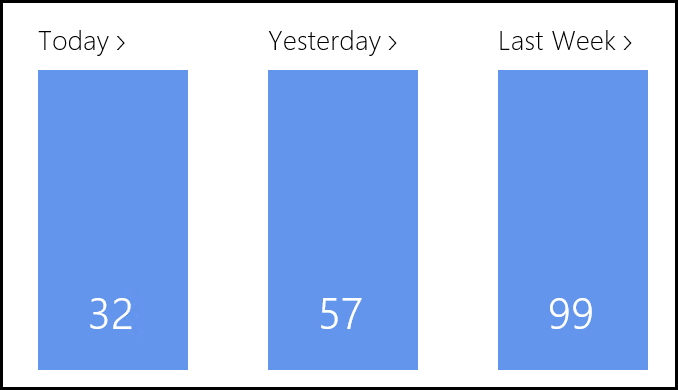 Win8.1 introduces new AppBar controls that’ll make developing a XAML AppBar much easier. 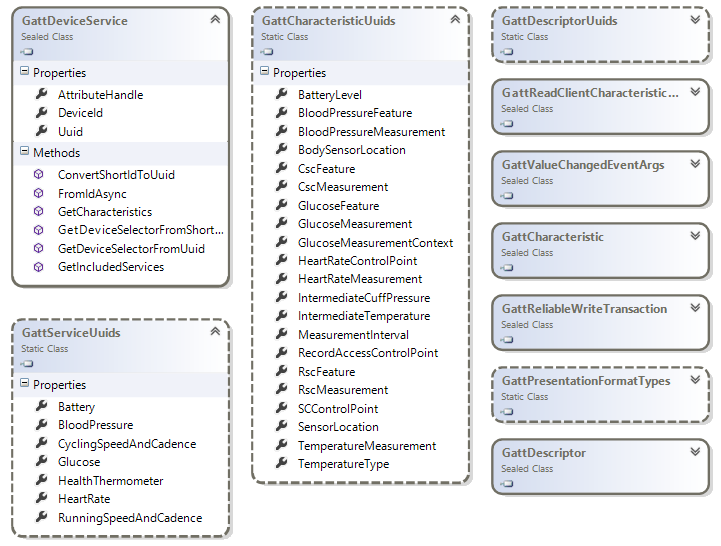 As you can see from the code diagram above the new controls include a dedicated AppBarButton, AppBarToggleButton and an AppBarSeperator. AppBarButton and AppBarToggleButton both support an “Icon” which is an instance of the IconElement class. 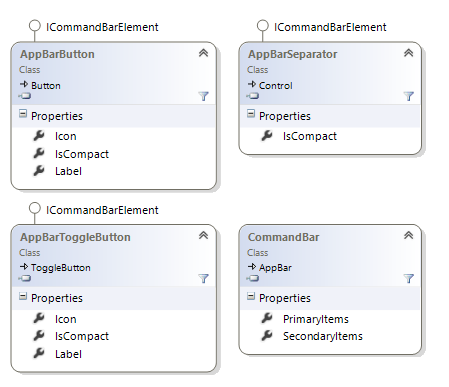 IconElement can be practically anything: Images, XAML markup paths, built-in symbols or any font glyph. XAML Databindings in WPF, Silverlight 4 and Windows Phone 8 have additional features that didn’t exist for Win8 and have been backported to WIn8.1. 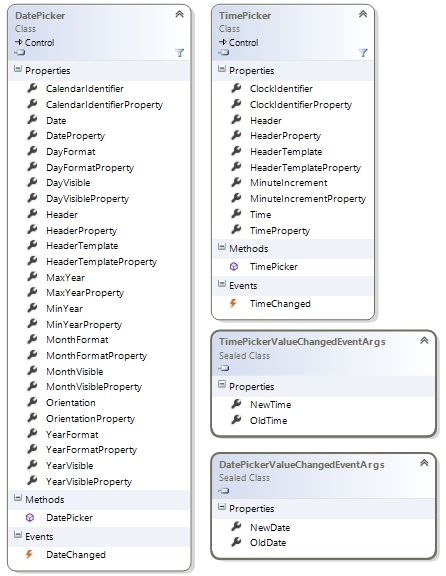 The new properties being introduces are FallbackValue, TargetNullValue and UpdateSourceTrigger. StringFormat will not be included in Win8.1. You can read more about FallBackValue and TargetNullValue on Jason's blog. 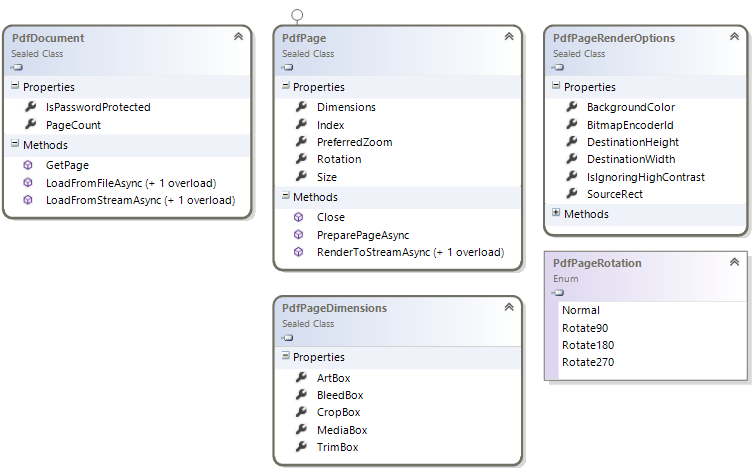 Win8.1 will also introduce a DataTemplateSelector to support databinding lists to instances of multiple types and rendering different visuals for each type. More on that in MSDN. Win8 has support to formatting dates, times and numbers based on the user’s culture. Win8.1 expands that list to support currencies, non-latin numerical systems and multiple numerical formatting functions. Each of those formatting options sounds simple before you consider the cross-cultural complexity so it’s great to see Microsoft supporting those out of the box. Here’s an example on how Win8.1 can help our app translate to non-latin numerical systems, format currencies and help print out numbers. // Arabic numerals, prints out: ?????????? // Thai numerals, prints out: ?????????? As we can see each language and formatting algorithm has a certain amount of complexity to it. Currency formatters change base on the currency symbol and the its location; some cultures need to format numbers in non-latin numerals; and formatting percents or rounding is also culturally specific. Having these built-in formatters is going to prove super useful to WinRT developers. Just the CurrencyFormatter alone is sure to be used by any Win8.1 app that has in-app purchase enabled for multiple markets. XAML: TextBox, PasswordBox and SearchBox now support Watermarks and Headers. 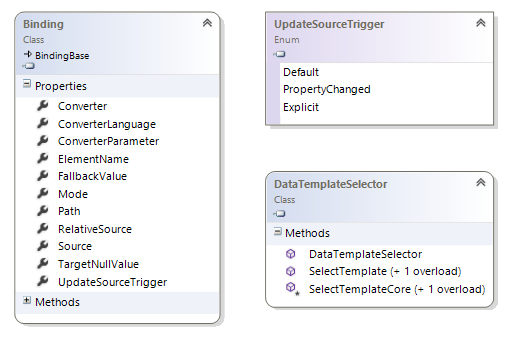 XAML: A <SwapChainPanel /> control will be introduced to improve XAML-to-DirectX interop. It’s likely that this control will support fully interactive, high-performance DirectX “islands” to be embedded in XAML pages. XAML: MediaElement will be get support for MediaStreamSource. 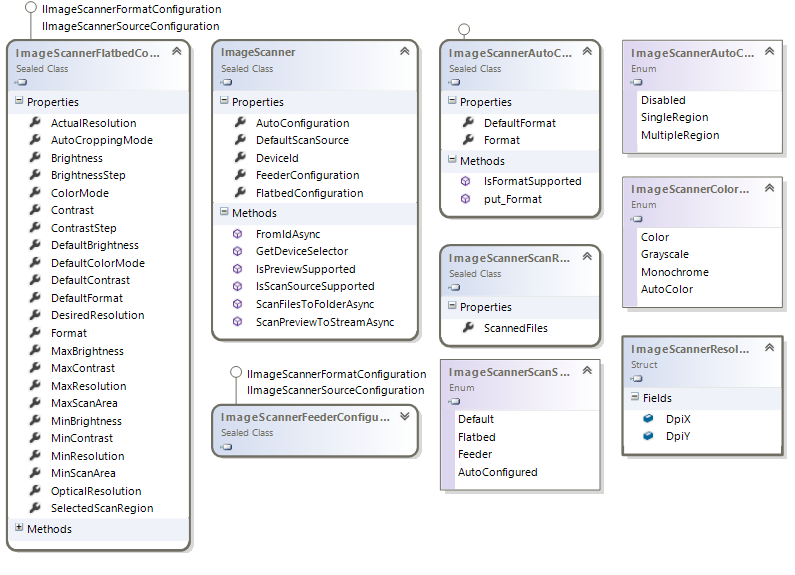 MediaStreamSource is the way WPF, Silverlight and Windows Phone support custom media sources. MediaStreamSource was used by many media companies on these platforms. Win8 didn’t support MediaStreamSource instead asking developers to build C++ Media Foundation plugins. Companies with existing MediaStreamSource investments will be able to port them to Win8.1. Media: When recording Audio, Video or Pictures developers can now set preferences such as Auto-focus, Capture Scene, Exposure, Flash, Iso speed, white balance and others. 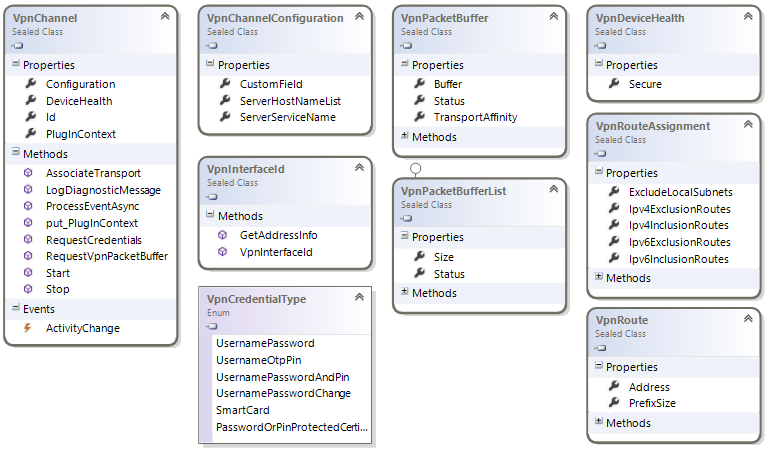 Networking: Win8.1 PeerWatcher class will supplement PeerFinder to provide notifications when new devices are in range. Networking: Win8.1 will provide developers with details about the current connections such as WiFi access point name, 3G data usage, cellular signals bar and more. Netwroking: Hardcoded support for standard HTTP Headers, HTTP Verbs and HTTP protocol components have been introduced in Win8.1. That helps remove magic “http strings” from our code and make coding for REST services a lot easier. 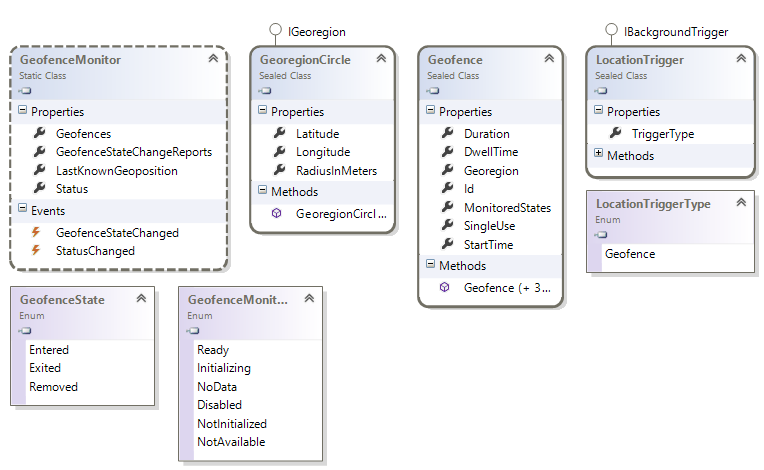 UI: All existing Win8 TileTemplateType values are now marked as obsolete. All templates for Win8.1 app tiles are in one of three sizes: 150x150 pixels, 310x310 pixels and 310x150 pixels. Many other features have been introduced that won’t be covered here. These instructions are only useful before BUILD 2013 conference (June 22nd 2013). After this date simply installing Win8.1 with the development tools will suffice. 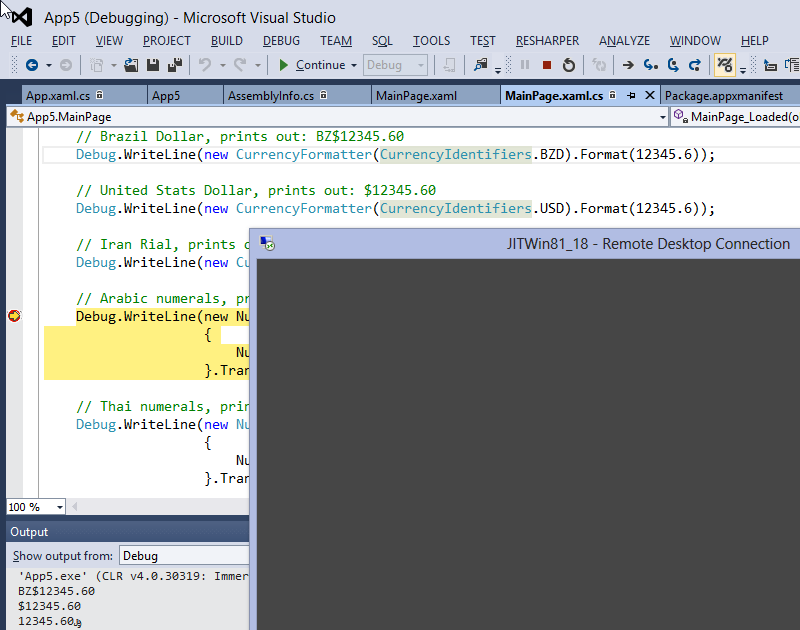 Enable Win8 remote debugging like you would for any Win8 machine. 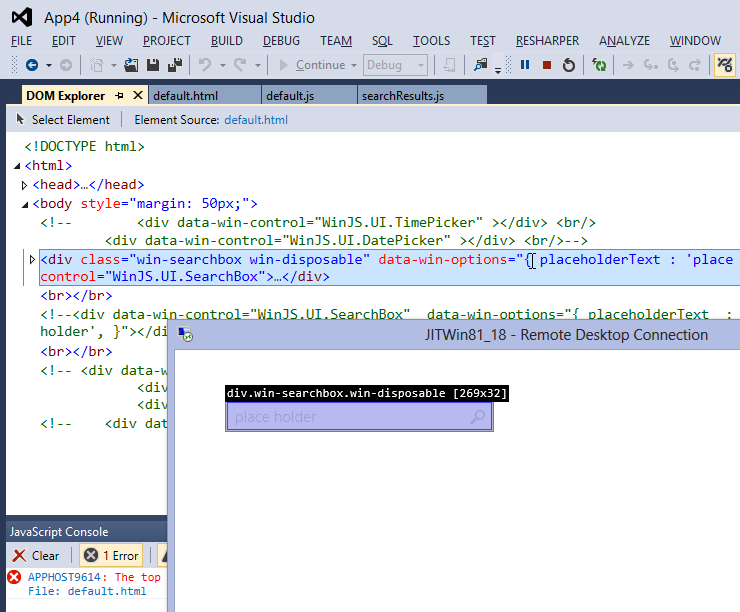 Install Visual Studio 2012 Remote debugging tools and run them. Finally replace your Win8 Windows.WinMD file with the Win8.1’s Windows.WinMD file. Restart VS2012 and you can now code against Win8.1 APIs on Win8, deploy to a Win8.1 machine and debug. Find WinJS 2.0 files from your local C:\Program Files\WindowsApps folder. You’ll need to do some fancy security permission changes and then you’ll be able to copy “Microsoft.WinJS” folders. 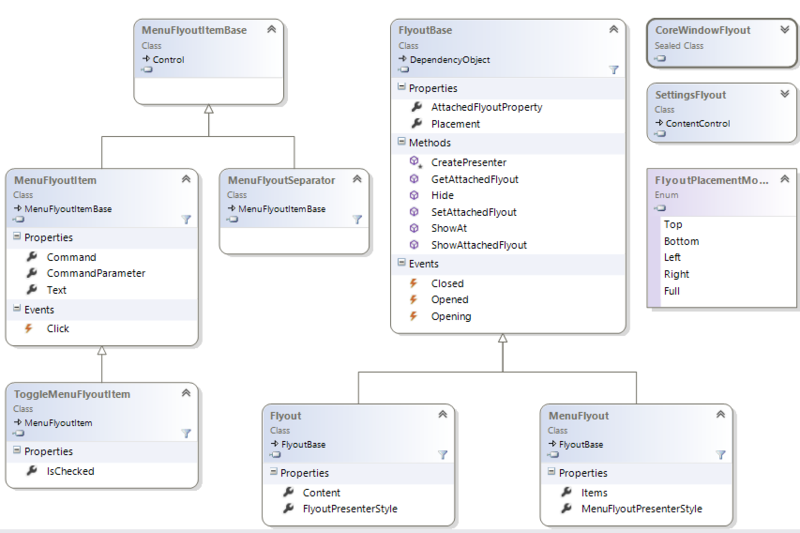 Create a new Win8 WinJS project in Visual Studio 2012. Add copies of ui.js, base.js and ui-light.css to your project from the aforementioned folders. Replace all references to ui.js, base.js and ui-light.css with references to your locally embedded files. You can now code against WinJS 2.0 APIs on a Win8 machine, and run & debug on Win8.1. The article is written to share original research on the upcoming WinRT goodness with other developers. I have no insider information what-so-ever on Windows 8.1. This article compromises my personal conclusions from “leaked” Windows 8.1 OS Images. No NDAs were harmed in the making of this article. I do not have and never had any pre-release access to WIndows 8.1 provided to me by Microsoft or anyone else. This article was written and researched on my own time and has no affiliation with my employer. Questions? Feedback? Other insights? Sound off in the comments. Published on 5/20/2013 12:00:00 AM by Justin Angel ©2019.